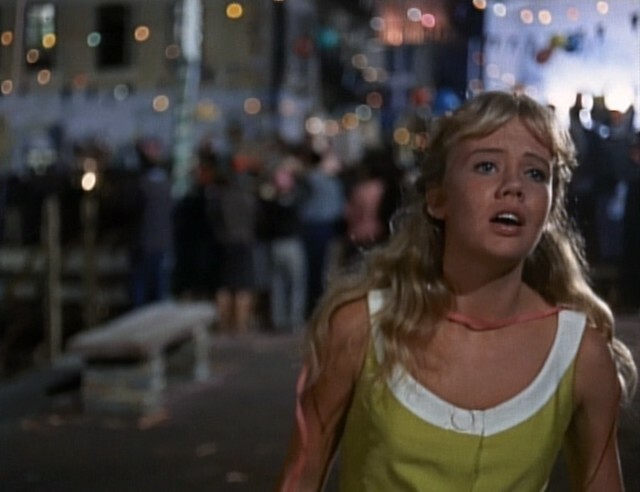 The Moon-Spinners is one of my favorite Hayley Mills films. 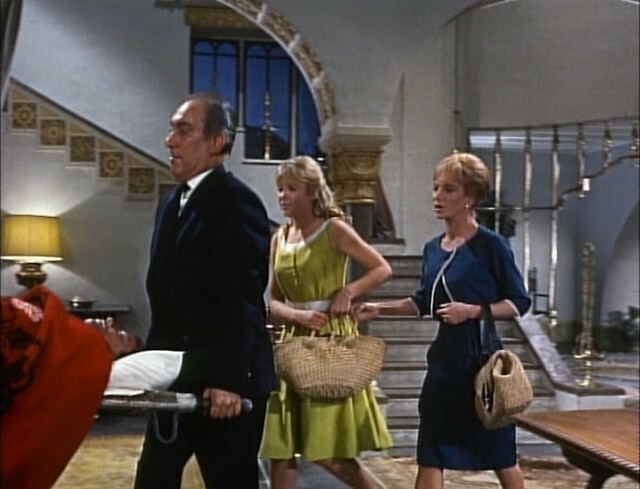 And I especially adore her wonderfully fun 1960s summer wardrobe! Eventually I'd like to make all of her outfits, but first I wanted to start with her green dress. I'm a red-head after all and what red-head doesn't look good in green? Anyway, I found the perfect color of fabric. I don't think it's the absolute perfect fabric, though it's not bad! The fabric is made of a cotton/linen blend, though I imagine the original dress was more of a silk/linen blend or a synthetic blend. But this worked out pretty great! 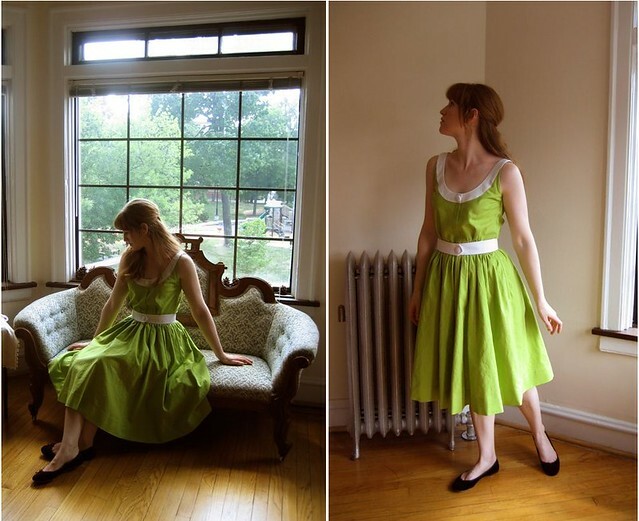 I drafted the bodice myself and then altered a skirt from a 1960s pattern that I have. 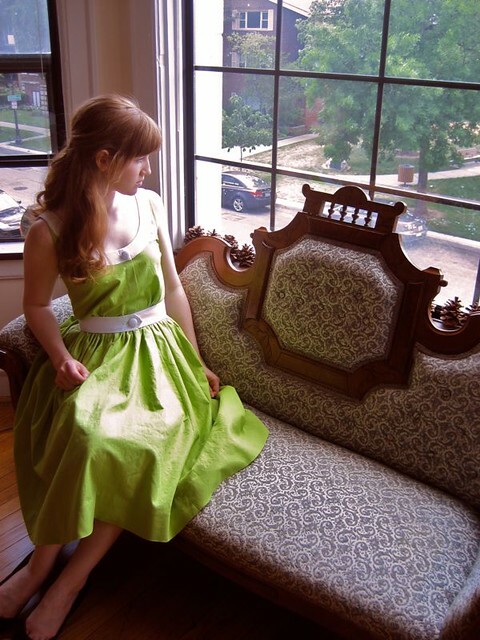 I actually learned a lot while making this dress! Many times I had to rip things out and start over. 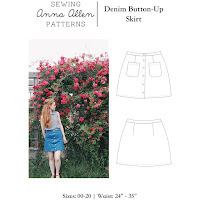 My normal instinct when sewing for myself is to just leave the mistakes and not worry so much, but I wanted a dress that fit me perfectly, that I would want to wear often. So I guess now all I need to do is buy a couple plane tickets to Greece! P.S. Later on I'll be doing more posts about this film as I make more of her outfits and perhaps I'll take some more screen caps of the film and do a little post about it. P.P.S. Here's a fun clip of the movie and also the opening credits (I love the song). I love the color combination! Lovely work as always Anna! I love this. your homage is so inspiring! What a great dress and what a great inspiration! I can't wait to see what else you make. Oh I love your dress!! I am completely impressed and jealous at the same time. You are lovely! i've never seen the movie, but i love the book. what a fantastic job you did on the dress! You look totally same like a girl in this movie. What a lovely dress. I adore Mary Stewart!! You'll have so much fun reading her books. Especially 9 Coaches Waiting, where the governess hand-sews herself an evening gown. This is a pretty dress and I want to see the movie now. I have always loved this movie. The dress looks amazing! Can't wait to see what you do next. Is this dress for sale?? SO PRETTY!! Also one of my ABSOLUTE favorite movies!!!!! 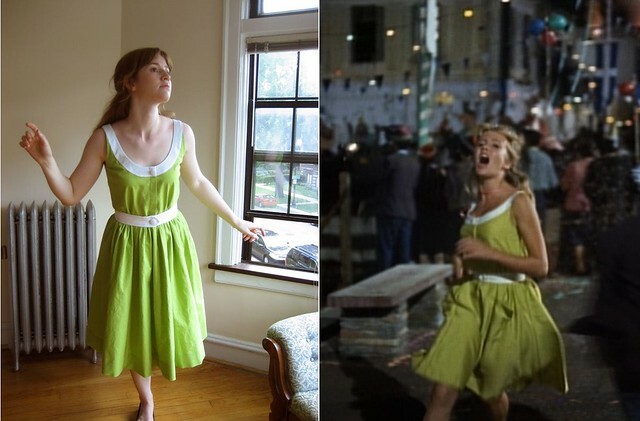 The recreation of her green dress is AMAZING!! that dress is amazing and you look beautiful in it! that dress is beautiful and you look great in it! Thank you so much for introducing me to The Moon-Spinners - I adored the movie. 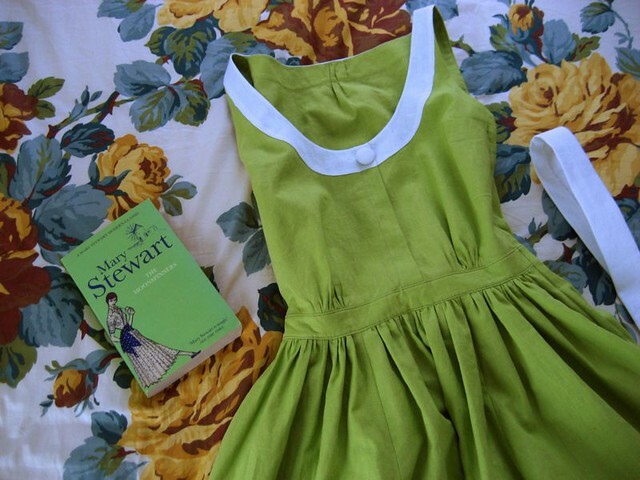 That green is simply wonderful, and I can't believe how like the dress in the film it is. I completely agree with you! Other than Pollyanna, The Moon-Spinners is my favorite of hers as well. And I love that you made the dress! I remember asking my mom to make it for me one Halloween but she didn't have time. It looks absolutely gorgeous on you! It has an Ann Margret in Bye Bye Birdie feel to it. Beautiful, Anna! The color is beautiful. I love feminine dresses and now a days it's impossible to find anything good out there in the stores. You are a talented dress maker. Do you make them to sell also? Lovely dress!!! Mjao! The dress is lovely. The colour is amazing! Love this whole post. Ps. Nine Coaches Waiting is a really good Mary Stewart. I like Mary Roberts Rhinehart also. Both ladies novels are hard to find however. I love the movie Moonspinners. It is on my favorite movie list. And yes, Peter Mc Enery is a hottie. I absolutely love it! Shapo! 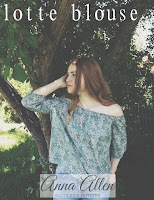 Dear Anna, I have just stumbled acrossed your blog and I couldn't be more excited! 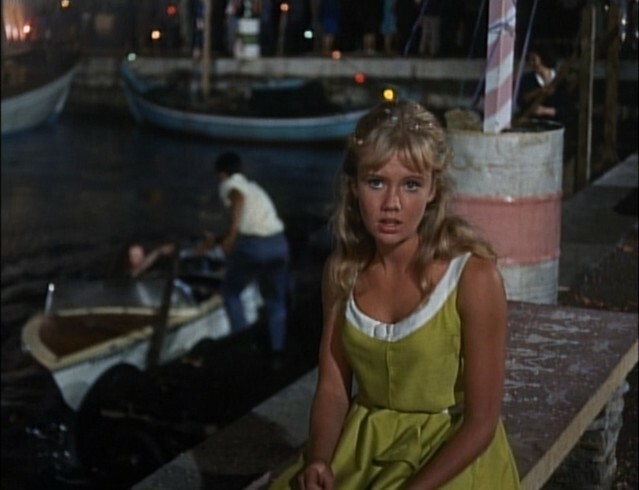 I absolutely love Hayley Mills and have collected most of her movies. 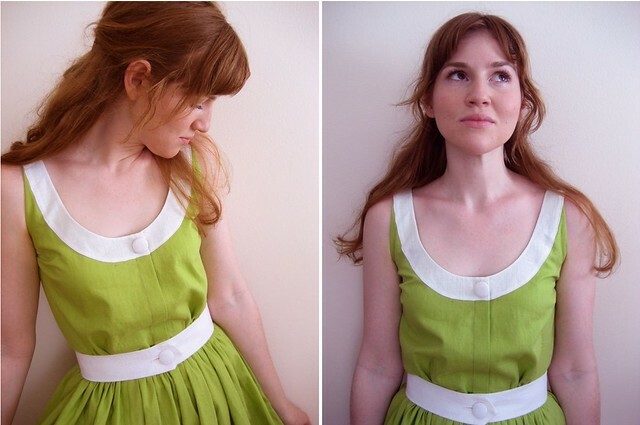 The reason I found your blog was because I too love Hayley's green dress and want to make one for myself. Yours turned out beautifully, thanks for the inspiration! !